Pitbull rehearsed for the 2017 Miss USA competition yesterday and today at the Mandalay Bay Resort & Casino in Las Vegas. 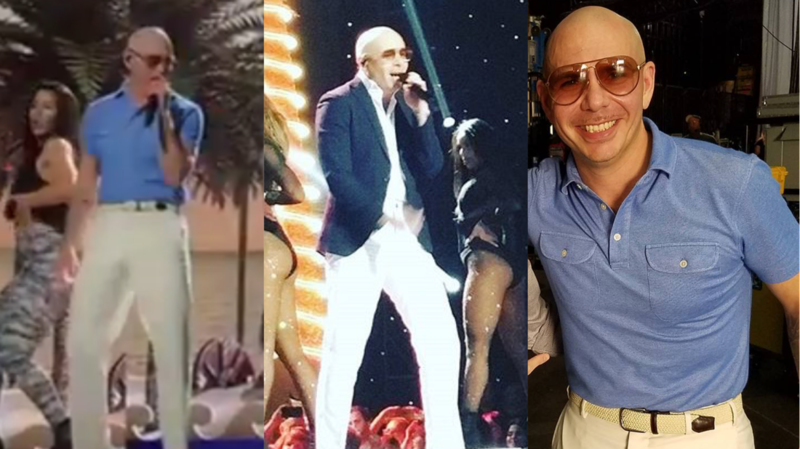 Mr. Worldwide will be performing a medley of songs at the pageant tonight including “Options” with Stephen Marley, “Don’t Stop the Party”, and “Fireball”. Check out photos and videos from rehearsals below, and don’t forget to tune into FOX tonight at 8/7c to catch Pit perform on #MissUSA! Previous Previous post: Congrats to Pitbull, J Balvin & Camila Cabello — ‘Hey Ma’ is now VEVO Certified! Just had a birthday my wish was for me to meet pitbull he has been my motivation to get up and walk and take care of myself especially when I was in bed for 10 months and when I was in lots of pain I would just here his music and forget about the pain that I was going through.